We help financial professionals get 10 new meetings monthly guaranteed! We use our advanced AI platform to help you target and engage with quality prospects, so you can focus on closing the accounts. How Fortuna Intelligent Outreach works? Our results speak for themselves, we guarantee that you will gain new exposure, find new prospects and book 5 - 10 meetings monthly with qualified and interested leads. "I was hesitant at first when signing up with Fortuna, not knowing what results would be. I just don’t have the time to solicit via social media but I know that this is going to be the new trend in prospecting. I had tried to do it myself but was not successful. Fortuna has been great and very patient with me. Heading into the second month I already have had four appointment that were successful. I am very happy with the results and I would highly recommend Fortuna to try to make your business successful." "Fortuna has been instrumental in helping me setup my LinkedIn profile for results. My pipeline is stronger than it has ever been. Fortuna has consistently delivered what they promised, and they have worked very closely with me to make sure my process is leading to closed sales. I would recommend Fortuna to anyone looking to grow their business." "Thank you for assisting me build our brand over the past two years. Fortuna has brought us profitable clients as well as raised our brand recognition in an effective and professional way." Are you just starting out in the business and looking to grow your network and referral base? Are you already moderately successful but want to get to the next level? Do you invest in yourself and your business? Do you want to STOP chasing leads forever and would prefer to have your ideal clients reach out to you directly with interest in learning more about how you can help them? Do you want to “tap into” an endless SOURCE of Mid/HNW wealthy clients online? Do you want to STOP making cold calls and never have to deal with gatekeepers again? Do you want to CONTROL all of your lead generation in 15 – 30 minutes per day from your laptop/phone – whether it’s from your home, office or even vacation? Do you want NEW clients right now? If you answered yes to any of the above, then this platform is for you! "Employing both digital and traditional prospecting strategies on a regular basis are crucial to growing your practice"
If your business thrives on the influx of new awareness and eyeballs to your business, then it is the most powerful method of getting in front of new clients. There has been a fundamental shift in how people communicate. We are more and more reliant on our smartphones and social networks. It's just so much easier to message someone than to meet face-to-face. People love this type of communication. These social networks are designed to get your attention and then keep it there. So what better way to get in front of new clients, than the place that has been captive by design? Investing in social prospecting is extremely effective when done right, and at Fortuna, we’re experts in partnering with you to develop your strategy and then automate the effort to deliver tangible results. Your network determines your net-worth, and we'll make you a superstar! The first step in building a successful social campaign is to really understand who is it that you want to target? Social prospecting can be a very powerful tool, if used properly. Its best to start by defining the prospects you want to go after. We can start by looking at your current situation, and who exactly are your best clients. With this information, we can construct what is called a look alike audience. Once we have this audience set, we can fine tune the other aspect of the campaigns for maximum success. Narrow and well defined is the surefire to get your message heard. This narrow focus allows you to become a specialist and the go to expert for any financial issues being faced by this specific population. Once we have defined the ideal client profile for your business. We can go ahead and design the messaging campaigns. We have a dedicated team of in-house copywriting experts that will craft unique and high converting messaging for your business. You are fully involved in this process and we can create the messaging to reflect your own unique voice. Our job is not done with the messaging is complete, next we automate the messaging and follow up sequence to make sure we are approaching the targets at the best time of day, with the right frequency all designed to get a response. Going one step further, we also continually monitor the performance of all campaigns we run. This means that if we see that a specific messaging sequence, frequency, or timing of the messaging is lagging our global averages, we refine and test again. AI Chat Bot built on Fortuna's Sales Automation Engine. Our social media chatbot is built on our proprietary AI sales automation technology to take over everyday repetitive and mundane tasks, leaving you with more time to do what you do best. Close Business! The chatbot works in partnership with you to grow your business. It starts the conversation and pre-qualifies the prospects. 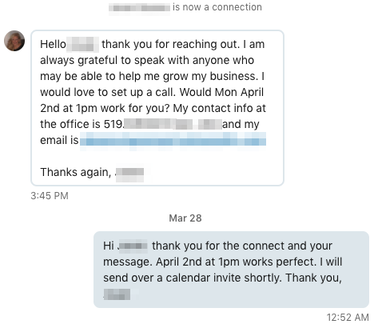 Once the prospect is ready to learn more or speak to you in person, the bot hands off the conversation from there for you to takeover. You get access to your very own dashboard, where you can see exactly how your campaigns are performing. From daily stats to historical comparisons. Your dashboard is your one stop shop for everything prospecting related. You can see your connections, and even chat with them if you so wish, all through the platform. Get started with Fortuna Intelligent Outreach in no time. You can upgrade, downgrade anytime. 1. Is this platform compliant? Yes, we are compliance approved at most brokerages and wire houses. This platform was designed from the get go to make sure we don't run afoul of any SEC and FINRA compliance guidelines. We don't solicit clients for services or products using the messaging. If there are any compliance questions, we work directly with your compliance officer to resolve them. 2. How well does this work? In our experience each client and practice is different. This being said, however all businesses need exposure, visibility and to stay in front of their ideal prospects. Engagement using Fortuna IO has shown excellent results and can guarantee between 5 and 10 meetings per month. Fortuna IO ensures a steady stream of hot leads for you by utilizing the connection invites and messages that are designed to get responses and meetings for our advisors. 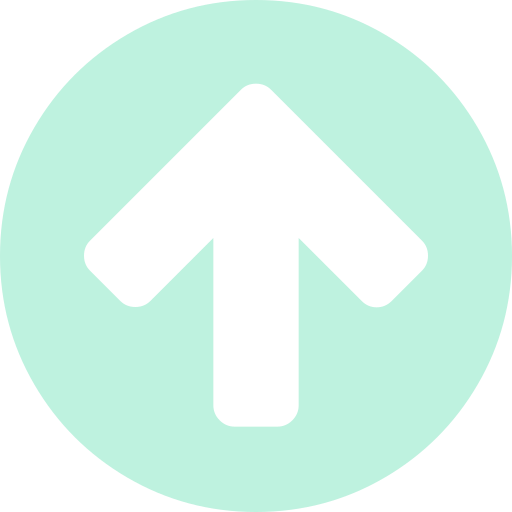 We continually fine-tune our messaging and strategy to ensure we double down of what works and drop what doesn't. 3. How does Fortuna know that my target clients are on social media? Simple answer, because the data tells us. Social media today has the reach to directly connect to you any persona you could be looking for. Just do a quick google search for stats on social media demographics, and you will see that your target market is doing research, looking for referrals, and "keeping their finger on the pulse" of business. These days, everything starts online. 4. Who are you guys anyway? We have a very diverse group of individuals calling Fortuna their home, we are ex-advisors, bankers, tech-nerds, data scientists and engineers. Our past experience includes work for companies like CIBC Asset Management, TD Waterhouse, RBC GAM, IBM, Microsoft, Oracle and a University professorship to boot. We all are passionate about making sure our clients are as successful in their businesses as they can be. You absolutely can, but you will be leaving a lot of opportunity on the table. Others out there are already implementing this strategy, social media is basically table stakes in this day and age and an automated automated social prospecting tool like this helps you create a new avenue of qualified leads. 6. Could this be considered cold outreach? ‍Yes, but remember this isn’t your typical “cold outreach”. The messages only go to those people that are in your niche target and have been throughly vetted. Then the AI system starts building the relationship, visiting their profiles, adding them, and then messaging them. Once you get that meeting, its no-longer cold outreach. 7. What exactly do I get when I sign up? A done for you prospecting service. We do a consulting session with you to understand your market, and ideal client profile. 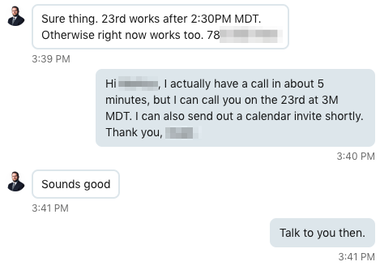 Based on our discussion, we design and build the messaging and from there our AI based system takes over, connecting, messaging and following up with prospects to help book your calendar. 8. What can I do ensure success by using Fortuna IO? We can only take you so far. That is why we work with you to ensure that the first impression that the client has of you is a good one. We do this by helping you spruce up your LinkedIn profile to highlight who you are, and how you are the right person for them to talk to. 9. Who owns the messaging, data and client relationships? You own all the messaging, the data and the client relationships. 10. How do you deal with capacity issues? We have a very strict limit on how many advisors are using our platform from the same geographical region. Out ratio for advisors to public is 1:50,000. In other words, we only onboard 1 advisor for every 50,000 in population. 11. What if I don't have budget for a tool like this? ‍This is a business development tool that will help you generate qualified leads. Think about how much you would pay for a lead who is willing to get a phone call or meet for coffee with you - we provide 5-10 of these leads per month and if you close 1 of those leads, the tool will pay for itself. 12. Will this really work for me? ‍Book a 15-min discovery call with one of our Growth Team members to talk about whether social prospecting can work for you and your business. 14. How many new clients will I get from this? ‍We don’t give you clients, we give you qualified leads that want to talk to you. Your results will be unique to you and your business. If you have a great offer and a proven sales strategy, you will see results. 15. Is it hard to set up? No, it's very easy. In our most popular package, we help you get set-up and comfortable with the platform, and then our A.I. does the rest. You will also have a dedicated client success manager available if you have any questions or concerns throughout your engagement with Fortuna. 16. What does my Profile need to communicate? ‍You need to have a clean, informative profile that communicates your value, has a call to action (CTA) and shows who you are. You really need to convey your unique value proposition and how you help your clients. Book a call with us today to start growing your business!